Today, slot machines - is the transformation of ordinary computer into a gaming console. If you look on the electronic board, we can distinguish several important trace constituents - namely chips. On the chip (or microcircuit) slot machine is recorded fundamentally important part of the game program, and if the firmware changed (reprogrammed) - then you can artificially influence the frequency of wins. On the main page, we were talking about a firmware bug. They are made from the original files, in which are written bugs (viral code). But in order to write firmware to the chip or module, you must have a special device. This device helps to reprogram the brain slot machines - a chip with program play. The use of such a device does not require any deep knowledge in programming. You need to connect the programming device to your computer, insert the desired chip and select the firmware file for writing. 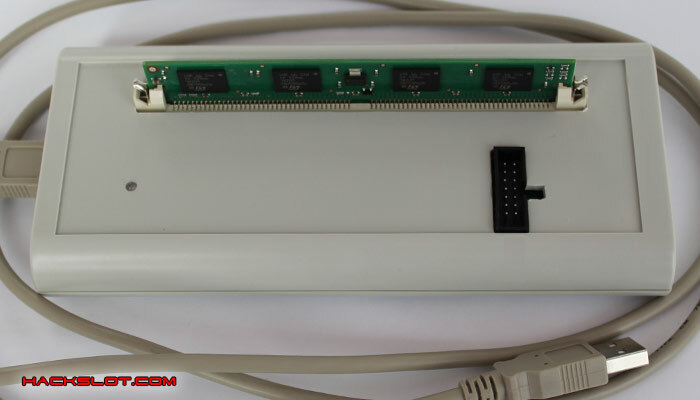 This device is intended for programming the 80-pin modules SIMM Flash Novomatic. The programmer works with all popular operating systems. Power and control of programming device for slot machines Gaminator is via USB. This allows you to connect this device to any modern computer. An additional power supply is required. Software programmer allows read operations, erase and write flash-memory chips. The device supports programming Game Selector. Programming device works with all types of flash-modules Novomatic. Even with the poor quality Chinese fakes. Fast time writes, reading and erasing. After performing the simple operation reflashing you will have all the real chances of winning slot machine. While other players are hopelessly insert paper money in a slot machine, you can come at any time and receive amount which you need! The enormous potential of this versatile device called a programming device chips will allow you to reprogram the board and components of different slot machines Gaminator (Novomatic), MegaJack, Igrosoft. It speaks about the rosy prospects and good money in many gaming clubs.